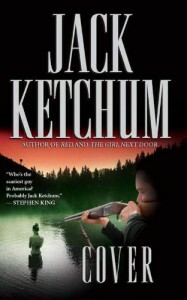 Jack Ketchum was one of those authors I read back in the '90s, in my horror boom. 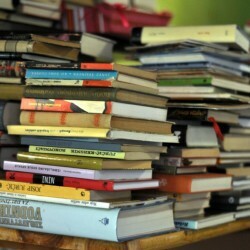 He was considered to be one of the best, so I read a handful of his books. They didn't make a huge impression on me, but I enjoyed his lean style. I read Cover, and remembered some of the details of the book, but not the story itself. I'm really pleased that I'm re-reading his stuff (and didn't give up on him after Off Season), because I'm finding that he really is one of the best. Like Hide and Seek, Ketchum takes about half of the novel to build up the characters before subjecting them to the horrors of the second half of the book. Also like Hide and Seek, there's nothing supernatural about this story; it's more a thriller than a horror novel, but Off Season tagged Ketchum as a horror writer, so that's how casual readers who know him would think of his work. But in actuality, Ketchum's fiction goes deeper than that. This is the second novel of his that goes beyond the typical slasher story, making it more about the characters and their complexities than about the killings. It was pretty easy to determine from the start of the book who was going to survive the ordeal in the woods, namely because of the way Ketchum established his different characters, but that's okay. The story was really about Kelsey, Caroline, and Michelle and the unusual relationship they shared. In addition, Ketchum takes the time to develop Lee, his antagonist, just as well. Ketchum doesn't take the easy way out, making him some random psycho; he gives him a fully-developed background, developing his character as much as he does his protagonists, going so far as to make him a sympathetic character. He takes the time to develop Lee as a battle-scarred veteran, one whose emotional stability is hostage to his memories of Vietnam. He's removed himself from society because he recognizes that he's a danger to others, and when this group enters his territory, it triggers those memories. Ketchum doesn't paint Lee to be a character who can be forgiven for his actions, but we can at least empathize with the events that led him there. It also makes for an unexpected ending that seems to break the rules of storytelling. Instead, it forces the reader to re-examine who the antagonist and protagonist of the story are, and realize that Cover follows those rules better than they realized. Ketchum makes an effort to create a good reason for the group of campers to encounter the antagonist, but it felt a little forced, a little clumsy. I'm sure groups of famous people go camping, but there was something about how the trip was squeezed in among all of their busy schedules that made it feel out of place to me. The story isn't about how they got together, but what happened once they were, so it's a minor quibble, but it did stand out to me. Cover has a lot of violence, but it doesn't strike me as gratuitous or splatterpunk-ish. It does have a good story of survival, and I'd recommend it to readers who like horror, thrillers, or survival stories. I would hesitantly recommend it to people who like character-driven stories; it definitely shines in its characterization, but it's probably more extreme than the usual character-driven fare.